Mercure São Paulo Alamedas Hotel is located in Jardins, an important business and leisure district. One block from Paulista Avenue and Consolação metro station, the surrounding area is full of leisure and culinary options for guests to enjoy. Close to the city´s largest convention centers, is ideal for executive guests. Customers can also enjoy upmarket stores and famous restaurants at Oscar Freire St.
Paulista Av., MASP art museum, Oscar Freire St. and major exhibition centers... so many places to explore and activities to take part in, to suit all tastes. 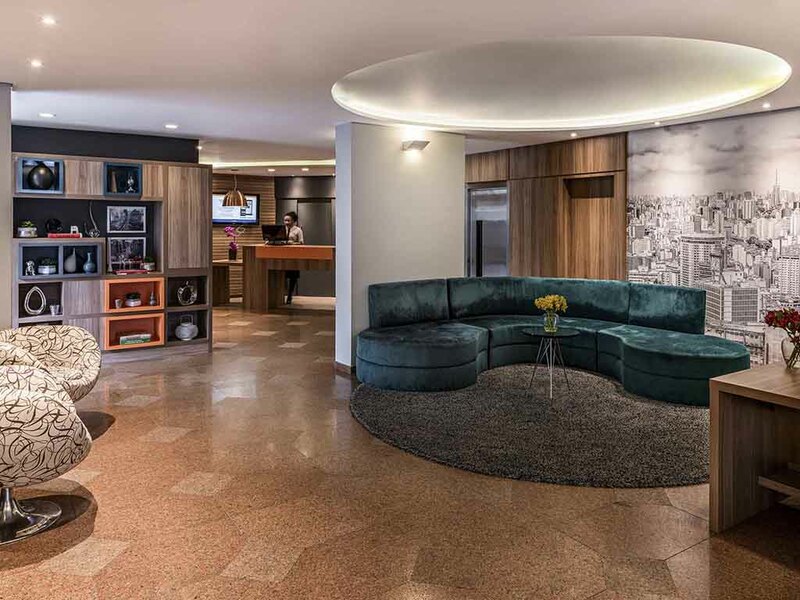 Visit Mercure São Paulo Alamedas. Our team is here to help you plan your stay. Guests can choose from three room categories: Standard, Superior and the exclusive Privilege Room, in addition to a wide range of services offered to ensure your stay is as comfortable as possible. 로비가 공사중이어서 시끄럽고 좁아서 매우 불편하였음. 커피와 티를 매일 구비해놓지 않아서 갖다 달라고 요구하니 번거로웠음. 커피잔이 하나밖에 없어 가져다 달라고 요구함. 길가에 위치하고 있어 밤에 시끄러움. 위치는 매우 편리하고 좋았음.